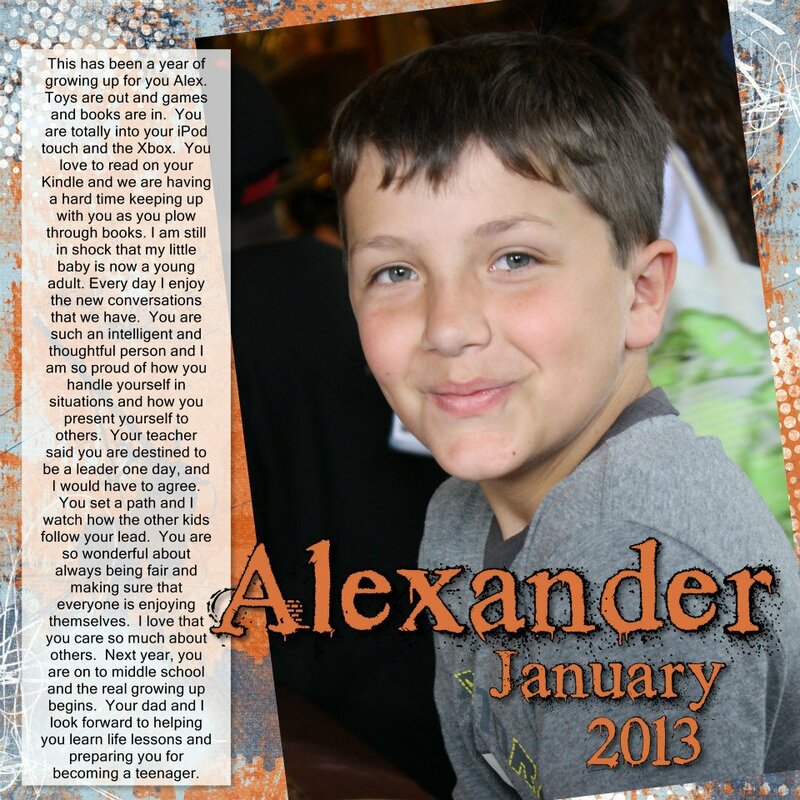 This ain’t your Momma’s scrapbooking! 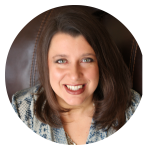 Anna Broome, National Sales Director for Forever.com, has a passion for helping people preserve their memories. She shares her unique idea for Love Letters to your kids on this episode. Every year in January she selects one photo that she took the past year for each of her children. She then writes a heart-felt letter to that child mentioning events from the previous year, challenges they had, what she’s most proud of, anything she wants them to remember (and herself to remember). Discover what she tears up about and the most amazing way you can preserve your family history. 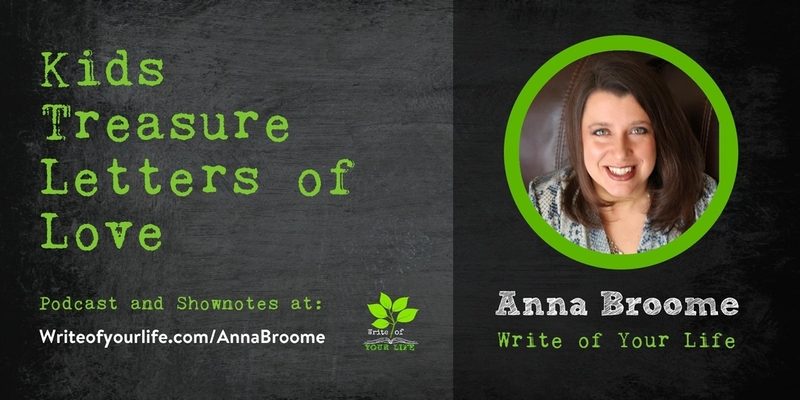 Anna gives a special discount at Forever.com to Write of Your Life listeners. Forever.com was started to make sure that everyone has a place for their stories to be preserved. It is a place for families to collect, curate, and celebrate their memories. They can preserve their memories for generations – it’s permanent and private. You can provide different people access to different albums within your account, and it’s all mobile. Other ways that people use Forever.com include digitization. Memorabilia can be preserved, such as children’s artwork, ceramics, clothing, flags, anything that’s important can be digitized and stored in your account. You can even send in old photo albums to be digitized and then shared with other family members. They also put photos on a coaster or holiday mugs, or other gift items. It’s a way to enjoy the photos without having to pull out the photo album. Anna shares her unique idea for Love Letters to your kids. Every year in January she selects one photo that she took the past year for each of her children. She then writes a heart-felt letter to that child mentioning events from the previous year, challenges they had, what she’s most proud of, anything she wants them to remember (and herself to remember). These love letters have had a huge impact on her kids. Every year they look forward to their special letter about themselves. One year, her son got big tears in his eyes. When she asked him why he was crying, he said “Mom, you said such nice things to me!” When you start to think about your everyday interactions with your kids, you realize how much of the thoughts of praise you keep in your head while you are actually telling them to pick up their dirty socks. When you write it down, they will have it forever. Ultimately, they will have a story of their life. Anna doesn’t make it a very long letter, so she doesn’t procrastinate. It literally takes 15 minutes and $5. She prints the letter/photo for their personal scrapbook through Forever.com and it comes in a mailer. When they arrive, they read the story of each of the kids together around the dinner table. It’s fun to hear each other’s stories. This episode’s Lifestory Toolkit features one of my favorite books about life story writing. 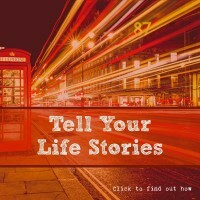 It’s called Your Life as Story by Tristine Rainer. I love this book so much, that I’m on my third tattered copy of it. It’s my go-to book for all stages of lifestory writing. Tristine brings memoir and life story down to our level and makes it easy. Her exercises are designed to build the structure for your writing without you even realizing it. So, in no time, you have stories to write, and she tells you exactly how to write them in a compelling way. It is the most comprehensive, yet simple, book on memoir writing that I’ve ever seen. Anna Broome is the National Sales Director for Forever and comes from a long background of sharing her love for photos in the direct sales industry. She has a passion for not only helping people preserve their memories but also for helping them make an income by promoting products that they love. As the mom of three boys, she enjoys watching them play baseball, basketball and football and when she’s not at a sports event she enjoys to travel, cook and of course – Scrapbook those family memories!